The Allergies sub-tab contains a list of Campers and Staff Member allergies. Allergies can be flagged as critical by your health center staff by double clicking the flag so it turns red. 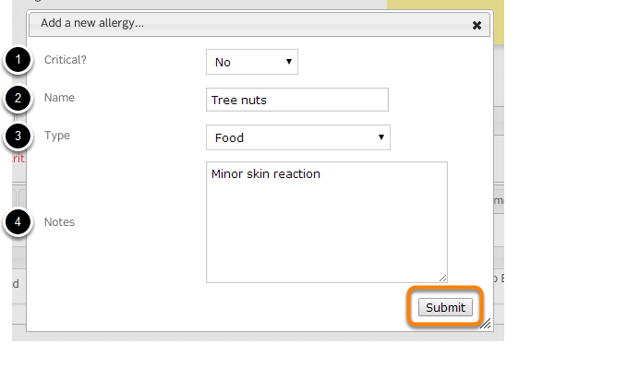 To add a new allergy click "+ Add a new allergy..."
The new allergy will be added to the list of allergies.